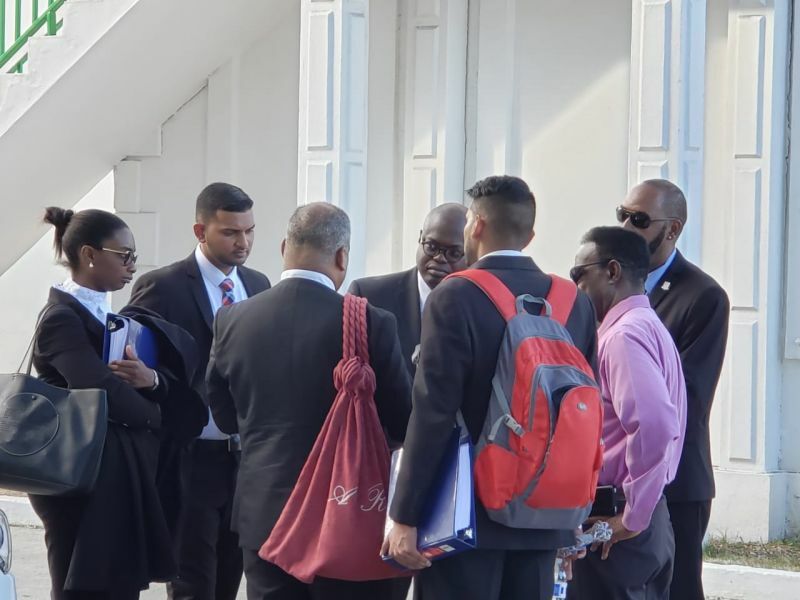 Both Speaker Willock and Mr Vanterpool have a team of lawyers representing their interests and Justice Ann Marie-Smith will listen to arguments and today decide whether or not the matter will move forward. He noted, however, that the constitution must be observed regardless of what the outcome is. 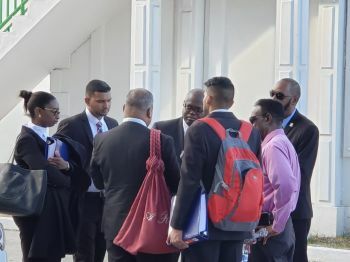 “I find myself in the unhappy position that I am asked to respond to the substantive issue on the fixed claim filed this morning which has somehow managed to make its way to my lady,” he stated. 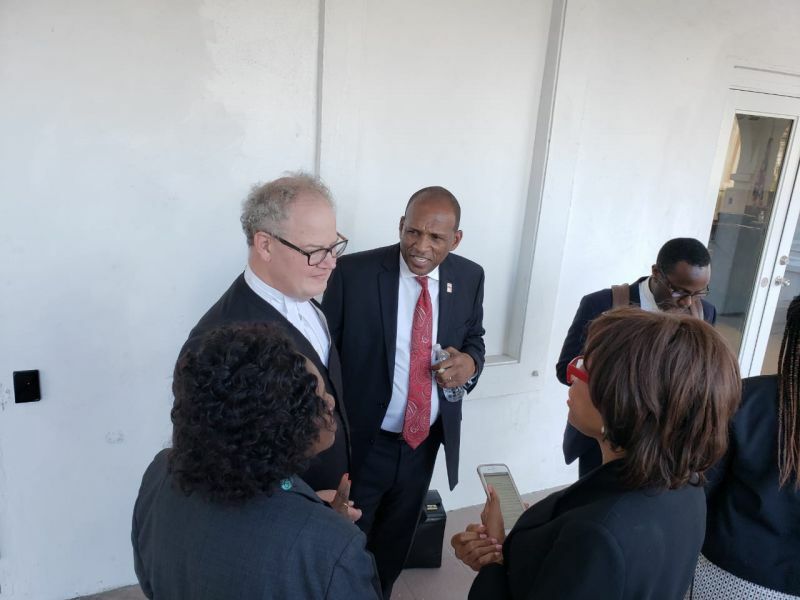 Further, Virgin Islands News Online (VINO) understands that Mr Vanterpool has presented to the court, a separate application seeking a declaration on Section 87 of the Virgin Islands (VI) constitution as to whether the D4 seat has been vacated. This news site will provide coverage of today’s proceedings and will update the story as new details emerge. From pic below seems like pretty big team there for Willock. But we wondering who paying? (Note: How come we no get a picture of Vanterpool team ?). To Taxpayer: Don't you see the pic of Vanterpool team above that of Willock?? Team comprising his Lawyers, Wife and Sister?? ?